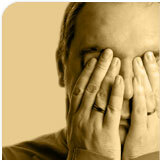 Cluster headache is a relatively uncommon type of headache. It is estimated that in any given year about 1 in 200 men and 1 in 1000 women will have cluster headaches. The incidence or the chance of getting cluster headaches for someone who has never had them before is estimated to be 16 in 100,000 men and 4 in 100,000 women. Because the disease is so uncommon, patients with cluster headaches commonly suffer needlessly, untreated, or treated improperly because a non-neurologist may not recognize the diagnosis. In general, once the diagnosis is recognized, a neurologist handles treatment. Treatment is divided into 2 parts – acute therapy for the cluster headaches themselves and, equally important, preventative therapy to shut down the cluster attacks early. If you are unsure if you have cluster headaches, please read, “What is a Cluster Headache?”.